On an incredible emotional day for Manor, team principle John Booth believes his team honoured Jules Bianchi in the best way they could. Bianchi died on Friday 17 July from head injuries he sustained at the Japanese Grand Prix in October 2014. He was buried in Nice on Tuesday. Booth acknowledged that it had been a very challenging week, first with the death of Bianchi and then all the emotion surrounding his funeral which was attended by many from the Formula 1 paddock. The Briton feels that despite all that emotion leading up to the race weekend, Manor performed admirably in honouring Bianchi. “We had one job to do today to honour Jules and that was to achieve the best possible placings. That's exactly what we did,” said Booth. He went to to lavish praise on his team, not only for their performance through the weekend, but for showing immense courage following a difficult week. He added: “I am so proud of the whole team for their tremendous courage and fortitude. It was not easy for any of the drivers, but well done to Roberto and Will for their focus and composure." Bianchi's family were also present at the race on Sunday and spent time in the paddock. 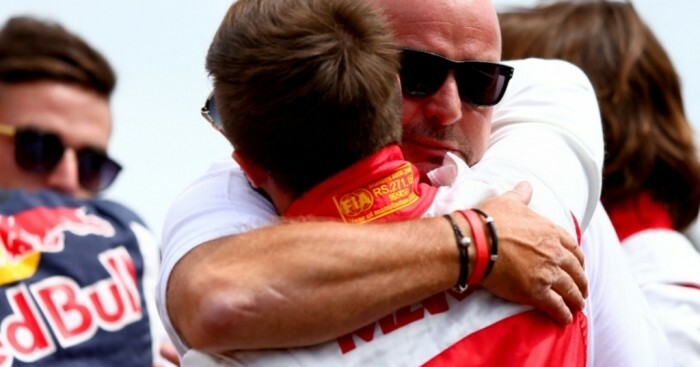 “It has been both difficult and comforting for them to see Jules' family here at the track. Difficult, because they too are a part of this team and we have shared so many happy occasions together. And comforting, because if they could find the strength to contend with the incredible outpouring of love and affection for Jules then we could too," said Booth. Roberto Merhi, who finished in 15th position, said the build up to the grand prix had not been easy. Although the decision to race was difficult, he believes Bianchi would have wanted it that way. His team-mate, Will Stevens was classified in 16th position.